You find very beautiful women on Omegle? You are very lucky! However you can see yourself on YouTube tomorrow. Of course you don’t want that. No one wants it. You shouldn’t trust everyone you meet on the site, it can be dangerous for you and you regret what you have done on the cam. People can record you and they may publish your video on YouTube. I know it’s very annoying. So how will you prevent being recorded? You are going to find answer of this question at the below of this page. If you still have question, comment us and we are going to help you. 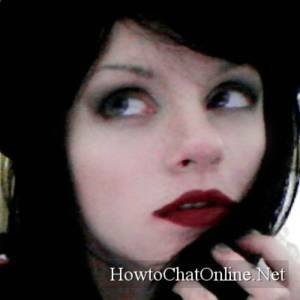 People are generally using fake webcam programs while they are recording people on the site. It’s what you should focus. Because generally virtual webcam devices has fake videos inside and these videos start to repeat, some time later. Sometimes this people forgets to remove mark of the program from video view and it appears “manycam” logo in their videos. You should be careful about these recorders too… But not all of them are recording. Sometimes people are using such third-party tools cause the site doesn’t accept those who don’t have a camera. I don’t think that it’s a problem since they don’t publish a video with their cams. Watch your partners video carefully and find out if he repeats his or her actions. Ask your partner to do something special for you. If he or she is typing while she dance or while she is away from keyboard, she is a fake! Next her! Ask your partner to for touch somewhere in his or her face, shakes her face or something another. If he or she refuse to do that, you should avoid of her. It’s how you can prevent being recorded on Omegle. You can meet such recorders on the site anytime. I was on omegle. Im a smart girl so I don’t flash or anything. But I was having a decent conversation with a girl I thought was legit. Few minutes later she reveled herself as fake, A series of videos appeared and the man behind it said “HA I recorded you, Now your face will be on various sites” with my face put as the 2nd box, he cropped guys jerking off into the first one to seem like I was Watching it…Help???! WHERE WILL THIS GO? How do I stop it? Hey I just want to ask if I was recorded on omegle. I had talked to a “girl” and we did things. I knew she was only a video loop after we did it. The person waved the mouse pointer on the video. The person did not blackmail me or anything. I just want to know if I was recorded…. I am sorry that happened. If you didn’t give your mail address, home address or your full name to him or her, he won’t blackmail to you. People are rarely blackmail others with recorded videos on Omegle.